Mascot Mania #2! Yang Yang City « Korean Kibble. Shoe Thieves — Beware! « Korean Kibble. 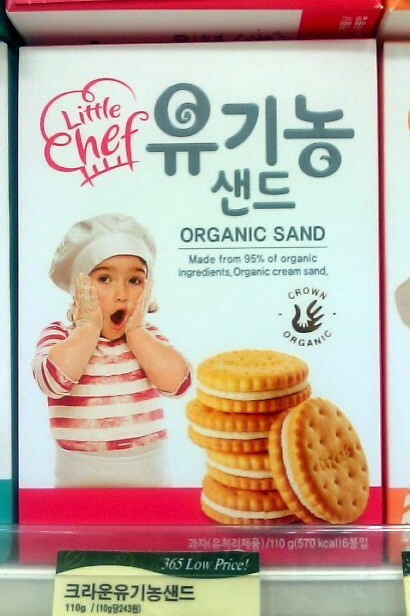 “Eat Dirt!” Or rather, “Eat Sand!” « Korean Kibble. An “Action” Figure Based on Beauty–Oxymoron? Translation: The secret method to ending your pore and wrinkle troubles! I came across the above ad while thumbing through a magazine in a waiting room. 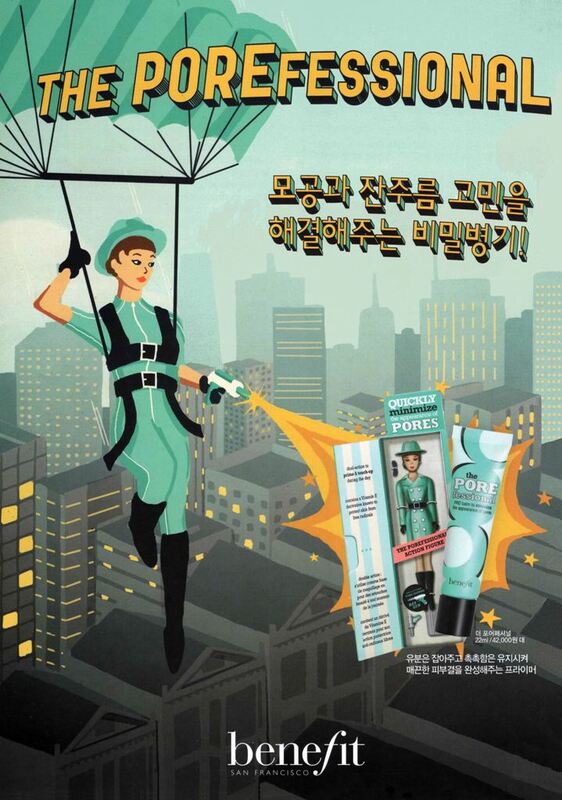 I had never before heard of the San Francisco-based Benefit cosmetics, nor their popular “Porefessional” product. What really caught my eye was the use of a character named “SpyGal,”created by famed comic book powerhouse Marvel. Now, I do realize that SpyGal is just a shameless promotional ploy, and a lighthearted and cute attempt at that. However, once I saw the words “action figure,” my mind became a veritable maelstrom of thought on feminist theory and other such weighty topics. Before my husband and I moved into a high-rise apartment, we leased a small home that was smack in the middle of a bunch of rice paddies. Right across our home was a small historic site: the grave site of a local yangban (nobleman). Korean grave sites feature a large mound–you can see it in the picture behind the small stone pagoda in the center. Usually, the grave site is completely empty–not a single living things stirs. But one day, to my utter amazement, I was confronted with this scene: there were well over a hundred magpies in the area! This has never happened before, or since– I truly wonder why they all congregated that day… Any thoughts? Is “1” Really the Loneliest Number? Korea always surprises me with its abundance of PSAs (Public Service Announcements/Ads). 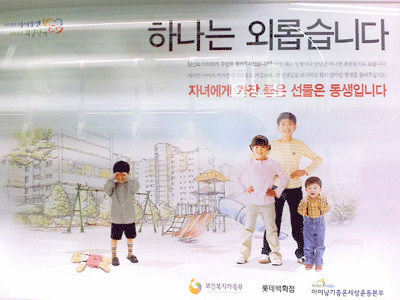 The topics range from the seemingly trivial (like brightly colored stickers on the floor reminding people to walk on the right), to more serious issues, like encouraging citizens to report possible threats to national security by dialing “111.” I suppose the strong collectivist nature of Korean culture is conducive to these messages which try to change public attitudes and behavior. As a relative outsider, I find these ads absolutely fascinating at times. The following PSA features the bold title, “Only One is Lonely” / “하나는 외롭스니다”. Make Your Man Happy with Makeup–WTF?! The following pictures are from a current television commercial in Korea for Aritaum cosmetics. While I know that Aritaum has no more lofty purpose than to sell as much lipstick, perfume and eyeshadow as possible, this ad actually touches on a lot of very serious issues–and I shudder at the negative messages it sends to both men and women. It starts with a couple sitting in a patio. The man looks at his girlfriend who has the “gall” to be looking really relaxed: she has glasses on instead of contacts, her hair is up in a bun, and she’s not wearing makeup. The boyfriend’s look of disgust is followed by captions which inform the viewer that they have been dating for three years. 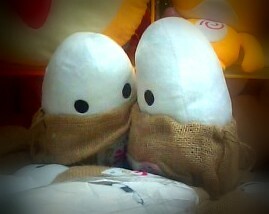 The man laments that it seems they are more like siblings than lovers since she’s not prettying herself up anymore.